Property removals can be tricky and complex, especially if this is the first time you had to move, or when relocating long distance and you need to shift your entire home or office content from A to B. In such cases, specialised assistance and adequate technical advice will go a long way in order to make the project more efficient and budget-friendly. We also offer a professional packing service, or delivery of packing materials necessary for self-packing. What makes our removal services really valuable for our customers is the fact that we provide adequate guidance and advice during all stages of the relocation, from prep work to follow up procedures. Even though, we will deal with all aspects of the removal, knowing why and how we do things is good for our customers. Plus some useful tips will make moving easier in the future. We take the guesswork out of moving and ensure each removal we take on, is conducted and completed in the most professional, safe and efficient manner. As expected we work with specially qualified movers and experienced drivers as we need to ensure no damage or misplacement of items throughout the project. 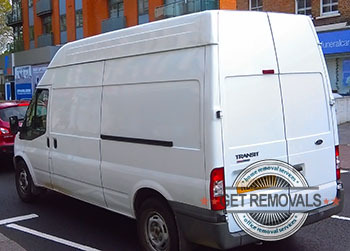 Also, we will coordinate all stages of your removal through our dedicated call centre. Give out free of charge, individually prepared quotes, fair and flexible pricing, unburdened by hidden fees or unmentioned charges. We hold full liability insurance and maintain wide coverage on all pickups and deliveries. Safe and efficient transportation of items is absolutely crucial for the cost efficiency and reliability of our removal solutions. This is why we own and maintain a large number of compact city vans and heavy duty Luton vans, specially equipped for the job. Our vehicles are clean, stocked with removal blankets and fitted with satellite navigation, as well as equipment required for lifting and securing heavy or odd items. Crouch End will offer you plenty to do and see while do the heavy lifting for you. Chances are though you would like some peace and quiet amidst all the commotion and hassle of the relocation. Good news for you – Crouch End is crossed by the London Parkland Walk, connecting parks in the boroughs of Islington and Haringey. The walk is a former train line, the disused tracks were removed and the pathway was created. 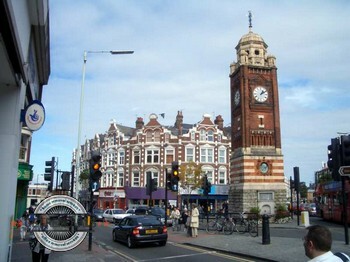 Crouch End is surrounded by woodlands to the west, to the north and to the south the suburb is bordered by Alexandra Park and Finsbury Park respectively.